Andy Roddick and Tommy Robredo put all their skills on display in a tight 2001 match. Andy Murray beat Tommy Robredo 3-6, 7-6(7), 7-6(8) to win the Valencia Open 500 title. Murray and Robredo battled more three-hours, and the Scot saved five match points to claim the win. He surged to No. 5 and 30 points clear of Kei Nishikori in his bid to qualify for the Barclays ATP World Tour Finals for the seventh year in succession. The match was a was a hot shot exhibition; a grueling battle of attrition that featured multiple momentum shifts. Robredo refused to yield an inch from the baseline, proving he was up to the task throughout the marathon affair. He struck first in the opening set, breaking for a 4-3 lead when Murray netted a forehand. The Scot was unable to convert on all six of his break point opportunities in the first set and it would prove costly, as Robredo took the opener after nearly an hour. Tommy Robredo beat Novak Djokovic 7-6 (6), 7-5 in the round of 16 at the Western & Southern Open in Cincinnati. Too bad I did not wager on tennis this time as this was only the second time Robredo defeats a top ranked player. It would have been a big gain. Nole dropped the first set after fighting back from a 6-3 deficit in the tiebreaker but Robredo took it with an ace. Robredo failed to convert two match points before completing the victory with a slam on Djokovic's short lob. Tobias Kamke upset Tommy Robredo 6-2, 6-3 in the first round of the If Stockholm Open. 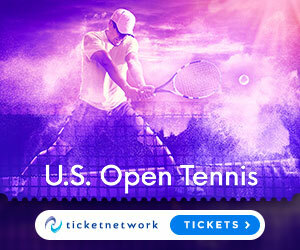 The German won 86 per cent of points behind his first serve and converted four of his seven break point opportunities for victory in 62 minutes. Robredo dropped to a 20-11 match record on a season plagued by injury for the past seven months. He has not reached an ATP World Tour quarter-final since March at Indian Wells. Kamke will next play Michael Ryderstedt or Sebastian Rieschick. Jarkko Nieminen beat Marius Copil 6-3, 7-6(4). Nieminen, who reached his first ATP World Tour final in Stockholm 10 years ago, withstood 10 aces and saved three break points. He goes on to face third-seeded Swiss Stanislas Wawrinka. Gilles Simon and Tommy Robredo enjoyed the spectacular Shanghai skyline from the top deck as they cruised down the Huang Pu River that splits the city of Shanghai. The duo played mini-tennis on the roof deck of the boat before learning the ancient Chinese art of calligraphy. Tommy Robredo was forced to retire in his first-round match against Filippo Volandri in the Swedish Open because of a left thigh injury. Volandri won the first set 7-5 and the score was level at 5-5 in the second when Robredo called it quits. Volandri will face Mikhail Kukushkin or Andreas Haider-Maurer in the second round. Top-seeded Robin Soderling plays his first match at the clay-court tournament in Bastad on Wednesday. Check out this promotional video for the "Por un revés al sol" charity event against skin cancer and the first edition of the Sports Show Tour of the Foundation against skin cancer - Felix Mantilla. The event will be held on April 29 in the Magic Box at 18:30 in MAdrid. Exclusive collaboration with Rafael Nadal, Juan Carlos Ferrero, Feliciano Lopez, David Ferrer, Tommy Robredo, Carlos Moya, Albert Costa, Alex Corretja, Pato Clavet, Virginia Rwanda, Emilio Sanchez Vicario, Conchita Martinez and also the participation of actors, Mario Casas and Miguel Angel Silvestre along with other athletes and familiar faces together in an unprecedented event. The event will be hosted by the great humorist, Leo Harlem. The proceeds will be devoted to Felix Mantilla Foundation to continue working in social work to spread the message of skin cancer prevention, assistance to the victims of melanoma and to develop research programs. Q. Did you try warming up today, and then you found out that you weren't going to have sufficient freedom of movement to be able to play well? Is that why you withdrew? 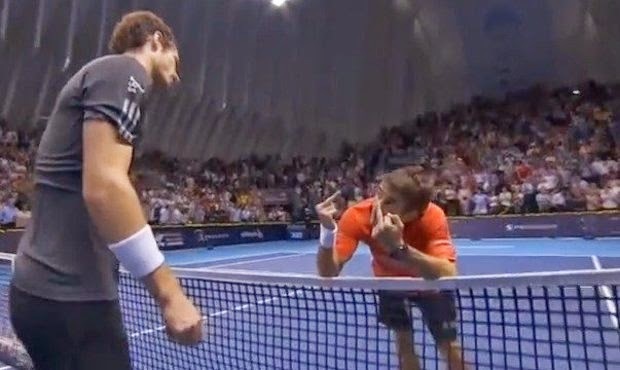 TOMMY ROBREDO: I didn't even try. I knew I was not going to be able to play, so that's why I pulled out. Q. Is this a decision you made yesterday, or did you decide this morning you weren't going to play? 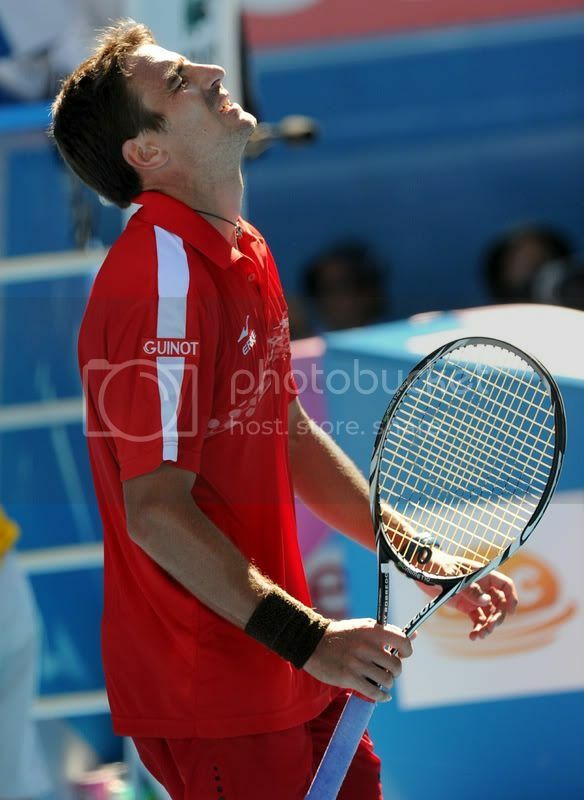 TOMMY ROBREDO: Well, after the match I knew that if something strange happens maybe I could play. But if not, for sure I will not play. We did an MRI yesterday night, and we saw the results. Obviously the doctor here says not to play. We have been delaying it as much as possible because we were contacting our doctors in Spain to see what they feel about, and now the decision is done. Everyone is saying the same, so yeah. I am out of here; and I am out of Miami, as well. Q. Do you know a little more about what's wrong now that you said you had an MRI? TOMMY ROBREDO: Yeah, I don't know in English. I think a strained muscle in two places, so no chance to play. Well, chance to play, yes, no, but then for sure I wouldn't be running as normal, and I will have the chance to broke it. So it's not easy situation for a player, because playing as good as I was playing, I was hoping to try to arrive to semifinals. But when you are not 100% then you have no chances. Juan Martin del Potro advanced into the semifinals at Indian Wells after Tommy Robredo pulled of their match because of a strained left abductor muscle. Del Potro will play next the winner of the match between Rafa Nadal and Ivo Karlovic. Robredo aggravated an old injury it in the second set of his 6-1 6-3 fourth-round victory over Sam Querrey. “I knew I was not going to be able to play, so that’s why I pulled out,” said Robredo. “We did an MRI last night, and we saw the results. Robredo said he had also withdrawn from Miami starting next week. “I have a strained muscle in two places, so no chance to play,” the Spaniard added. “Well, a chance to play, yes, but then for sure I wouldn’t be running as normal and I will have the chance to break it. Tommy Robredo discusses his fourth-round victory over Sam Querrey on Wednesday at the BNP Paribas Open. Sam Querrey discusses his third-round win over No. 9 seed Fernando Verdasco and Tommy Robredo reflects on reaching the fourth round after beating Donald Young on Monday at the BNP Paribas Open. Watch Live Matches. Video courtesy of Tennis TV. Nicolas Almagro beat Tommy Robredo 7-5 6-1 to reach the final at the Copa Claro in Buenos Aires. Almagro will face Juan Ignacio Chela, who scored a 6-2 6-2 upset victory over Stanislas Wawrinka. Wawrinka had earlier beaten Juan Monaco 7-5 6-3 in their quarter-final. “I didn’t expect what happened last year, winning two titles gave me a lot of confidence,” added Chela, enjoying a new lease of life after victories in Houston and Bucharest in 2010. Almagro has been in good form this month adding a more aggressive streak to his game once regarded as defensive. He took his tally this year to 13-2 as he crushed Robredo in the second set after taking the first with a break of serve in the 12th game. Allowing Robredo just one game in the second, Almagro peppered his compatriot with pin-point drives across court and down the lines. Setting himself up with three match points serving at 5-1, the right hander won it on the first with yet another crosscourt shot as he met Robredo’s return at the left sideline. 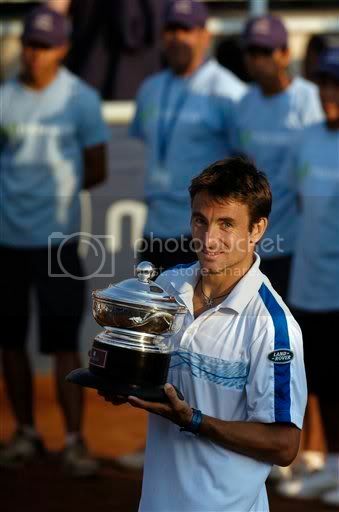 Tommy Robredo defeated David Nalbandian 6-4, 6-4 to reach the semifinals of the Copa Claro tennis event in Buenos Aires. The Spaniard had won only two of his previous eight matches against Nalbandian. Rain washed out play Friday, forcing organizers to schedule both the quarterfinals and semifinals for Saturday. Robredo will next play against Nicolas Almagro, who defeated Jose Acasuso 7-5, 6-3. In the other quarterfinals Stanislas Wawrinka beat Juan Monaco while Albert Montanes lost to Juan Ignacio Chela. David Nalbandian crushed Juan Pablo Brzezicki 6-1, 6-2 to reach the quarterfinals at the Copa Claro in Buenos Aires. Nalbandian was broken in 2 opportunities but he broke Brzezicki seven times from 14 chances. 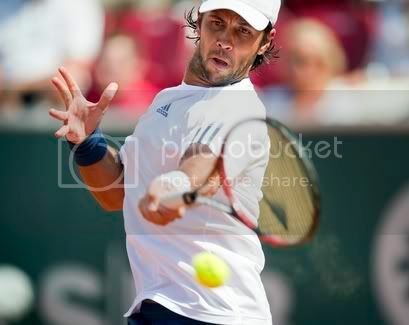 Nalbandian will next play against Tommy Robredo, who defeated Albert Ramos-Vinolas 6-3, 7-5. Nalbandian leads Robredo 6-2 in their head-to-head series. “I need to play like this again, I’m feeling very good. I know Robredo well, we’ve played a few times in the circuit and also before in juniors. I know I have to be aggressive and continue this level,” said David. Nicolas Almagro beat Leonardo Mayer 6-7 (3), 6-1, 6-3 to also reach the quarterfinals. Almagro converted five of eight break points and had nine aces, compared to Mayer’s two. Almagro has won 11 of 13 matches this season and has reached the quarterfinals—or better—three times in this tournament. Tommy Robredo made it past Santiago Giraldo 6-2, 2-6, 7-6 to claim the Movistar Open title in santiago de Chile. The Spaniard won six straight games to go up a set and a break. Giraldo recovered the service break in the second game, and broke the Spaniard two more times to win the set and leveled the match. The Colombian broke for a 3-2 lead in the third set, but was broken back and Robredo got back on serve at 5-4. Robredo sealed the win in the tie-break on his second match point opportunity. “I am a bit disappointed as I served for the match at 5-3,” said Giraldo. “I think my lack of experience played a part at that time. I maybe got a bit tense and it went against me. On the other hand, I am very happy about the match we played. I gave everything I had, I played with all my heart and, in the end, Tommy won the match and was the better player. Santiago Giraldo defeated Potito Starace 4-6 7-6 6-1 to set up a final meeting with Tommy Robredo in the final of the Movistar Open tennis tournament in Santiago de Chile. The Spaniard Robredo made it past Fabio Fognini with a 4-6, 6-2, 6-3 win. This will be Giraldo's first ATP final. In 2011 he has reached the quarterfinals three times already. Giraldo was broken once in losing the first set, but he held in the second by winning the tiebreak, and then overpowered the Italian in the final set. Giraldo said: “It was a very tough match. His serve is very difficult to return, and it doesn’t help with these dry conditions. It took me some time to get used to it and I started to read his serve better in the second set tie-break. Robredo and Fabio Fognini battled to hold their serves during the match. After dropping serve twice in the first set, Robredo was broken once in both the second and third sets but broke his opponent back five times in the final two sets to advance to the final. 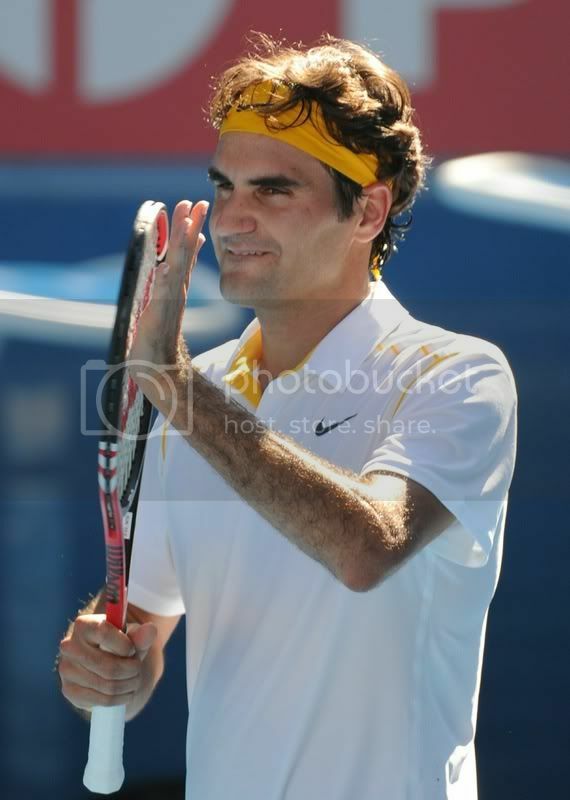 Roger Federer defeated Tommy Robredo 6-3, 3-6, 6-3, 6-2 and made it into the quarterfinals of the 2011 Australian Open, setting up another record to his collection as he matched Jimmy Connors’ mark of 27 consecutive Grand Slam quarterfinals appearances . Next for the defending champion will be the winner of the match between Andy Roddick and Stanislas Wawrinka. Federer didn’t concede a point on his serve in the first set and got a break that was enough for him to claim a 1 to love set lead. In the second, his serve was not at hist best and was broken allowing Robredo to level the match. The world number 2 regained control in the third set and dominated after getting an early break to lead 2-0. In the 4th, he went up 4-1, treating the centre court crowd to some scintillating tennis wiining the set at 6-2 and the match. Robredo remained realistic about bridging the gap between himself and the the former world number 1. "...To get closer you have to win two sets. After the way he started the match, he started playing great and making unbelievable shots all the time. I think for me being there and winning the second set is great. Then in the third, I had chances to break him in the beginning. He broke me, and then i had chances to win these games again." Federer, on the other hand, refused to single out himself and Nadal as the only title threats. "Well, I think Andy and Novak are playing extremely well, and that's why I'm not really looking very far ahead here. 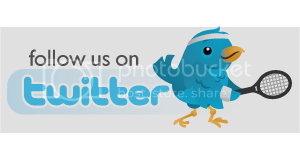 Rafa, myself; Robin is playing well; Roddick seems like he's in form; Stan, same thing; Berdych hasn't dropped a whole lot of sets or games. "I think really the top seeds here again are showing that they're above the rest a bit at the moment still. Interesting second week, I think. Yeah, I don't think I'll be looking too far ahead here." Tommy Robredo lost to Roger Federer 3-6, 6-3, 2-6, 2-6 in the fourth round of the men's singles. Q. After a pretty good performance today, do you feel like your bridging the gap towards getting closer to beating him? TOMMY ROBREDO: Closer? No, because to get closer you have to win two sets. After the way he started the match, he started playing great and making unbelievable shots all the time. I think for me, being there and winning the second set is great. Then in the third, I had chances to break him in the beginning. He broke me, and then I had chances to win these games again. So it was a little bit unfortunate there. If you make these mistakes with Federer, then it's normal that he gets the third set, and then it's very difficult to stop him. But at the end, I'm happy the way I perform. 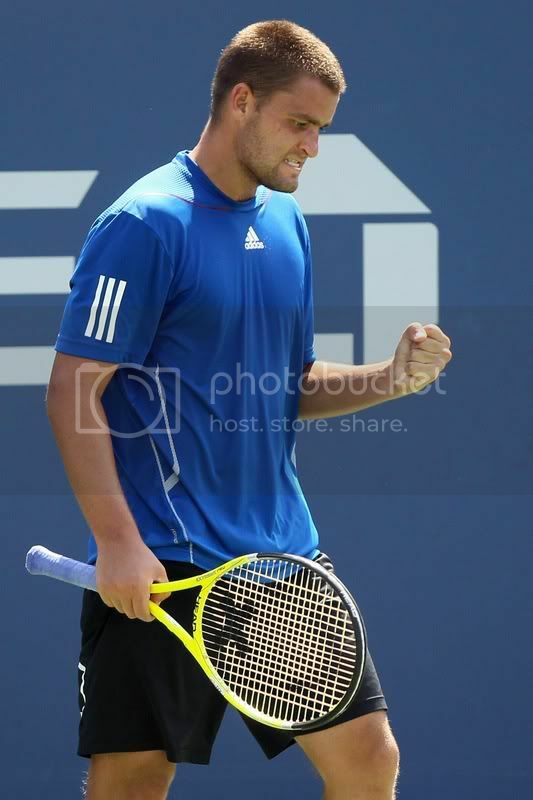 Mikhail Youzhny defetaed Tommy Robredo 7-5 6-2 4-6 6-4 to advance to the quarterfinals of the US open in Flusinh Meadows. Youznhy broke Robredo in the 11th game to take the first set and then he had back-to-back breaks in the second to take a two sets to love lead. Robredo found his way back into the match after breaking his opponent at 5-4 in the third set to win it. When it looked like the spaniard was getting the momentum going, Youznhy steped up a gear. He made the breakthrough in the fifth game when he earned a break point with a deft backhand sliced drop shot and then broke when his service return clipped the net and dropped stone dead on Robredo's side. The Russian was up 3-2 up, and was able to held serve three times to advance to the last eight. Tommy Robredo upset Fernando Verdasco 6-4, 6-3 to reach the semifinals of the Swedish Open in Bastad. Robredo converted three of nine break point opportunities for victory in 83 minutes. Verdasco won 58% of service points and hit four double faults. Robredo will play Nicolas Almagro, who beat Franco Skugor 4-6, 6-4, 6-0. Robredo run down every ball and was very aggressive against his contryman. Verdasco’s groundstrokes were not at his best and Robredo took advantage of that. Tommy broke his opponent for a 4-1 lead in the opening set but Verdasco reacted and broke back. At 5-4 on his serve, Verdasco missed a forehand long to give Robredo the set. Robredo continued to dictate play in the second set. He broke in the fourth game and took a 4-1 and then 5-2. Robredo claimed the victory on his third match point when Verdasco hit an easy return long.